In my last post I shared pictures of our trip to the St. George Farmers Market here in Utah, and promised to do a blog post to let you know what I thought about my first taste of the duck eggs we purchased there. I have seen everything from “duck eggs have twice the nutritional value of chicken eggs, and stay fresher longer due to their thicker shell, and that they have more Omega 3 fatty acids…, that they are an alkaline producing food…, one of the few foods that leave your body more alkaline…, which is a great benefit to cancer patients…” I’m just stating what I’ve seen on the internet which we all know is true…. or NOT, so take that with a grain of salt…. Every Sunday, for as long as I can remember, with the few exceptions when we would go out to breakfast, Bill and I have come home from Mass and cooked our Sunday breakfast together. We usually do something like this. 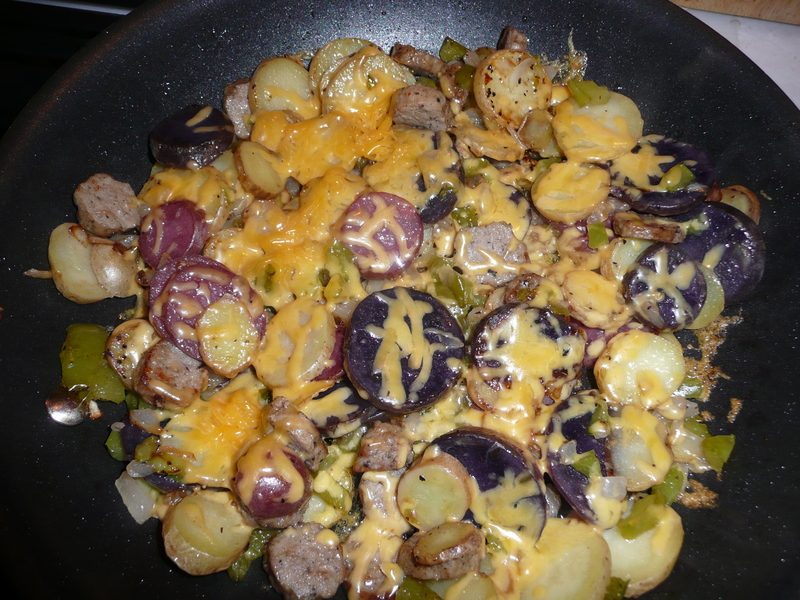 I chop up some multi-color finger potatoes, with some onions, bell peppers, mushrooms, and turkey sausage (or regular breakfast sausage, or any other protein you might like). 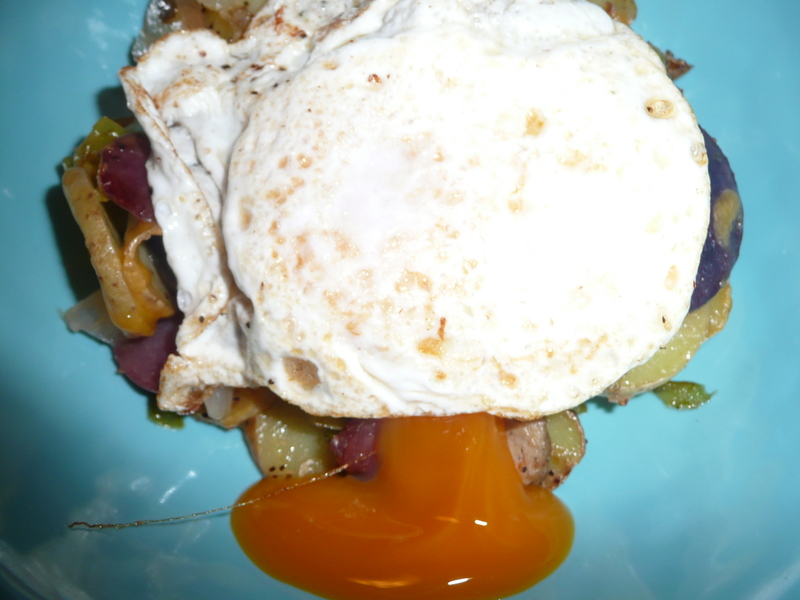 This, when you put it on top of your potato combination… Except none of the chicken egg yolks we ever had ever looked like this… See how dark yellow the yolk is with this duck egg as it breaks and runs… YUM!!! 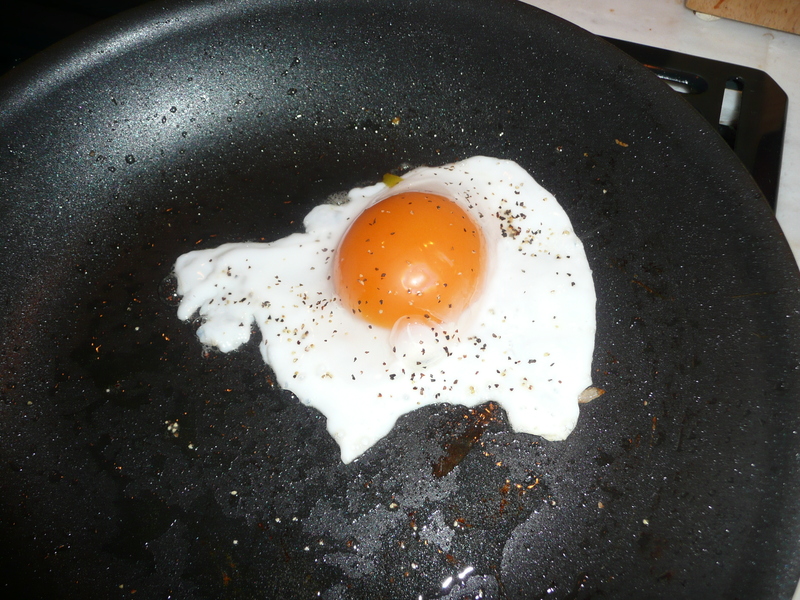 At that point, of course I thought the duck egg sucked because “the egg is not done… it’s cold”…. all due to ME, and all the cold stuff I added to it…. 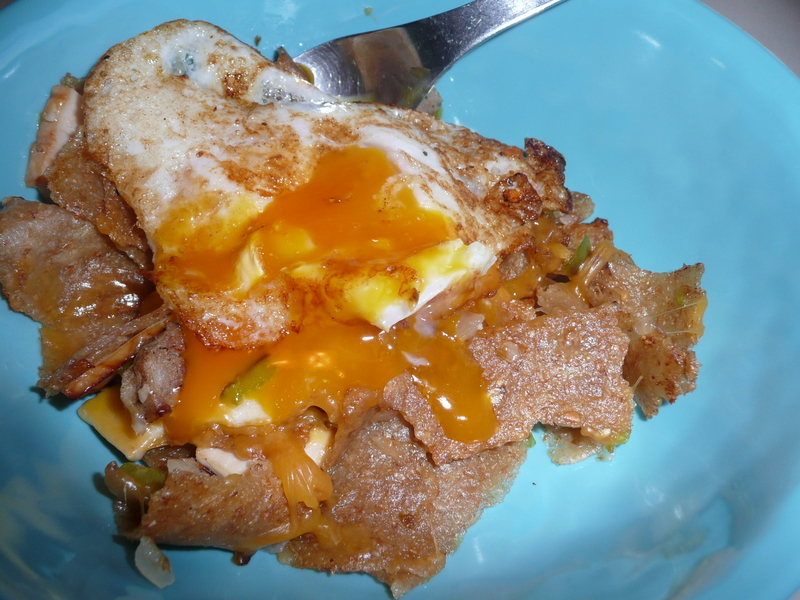 My next attempt at a duck egg was another breakfast that I love, and have shared on my blog in the past which is this.. 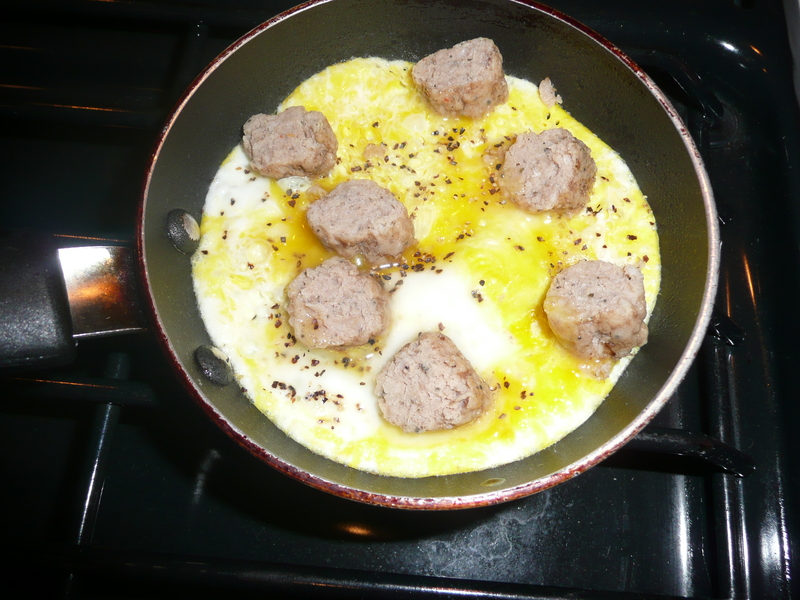 If I am cooking this just for me, I have a tiny little skillet that I use for one serving… and I scramble an egg (in this case I used a duck egg) then put it in the tiny little one serving skillet, and add one turkey sausage on top, like this. When it’s time to eat, I pull it all together like this. Fold it up and enjoy! 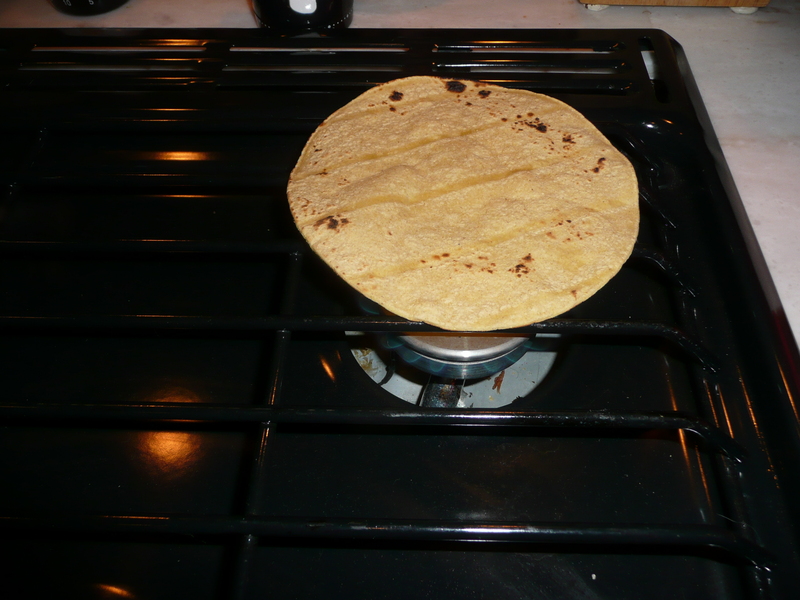 OR, you can replace the potatoes in the above recipe with multi-grain tortillas that you cook in a little vegetable oil with the diced onion, bell pepper, mushrooms, just as you would thin sliced finger potatoes until crisp…, or what ever fits your tastes…. then add the duck or chicken egg on top. and get something like this. So, when all was said and done…. I enjoyed the duck eggs I had… but not enough to pay six dollars a dozen for them. 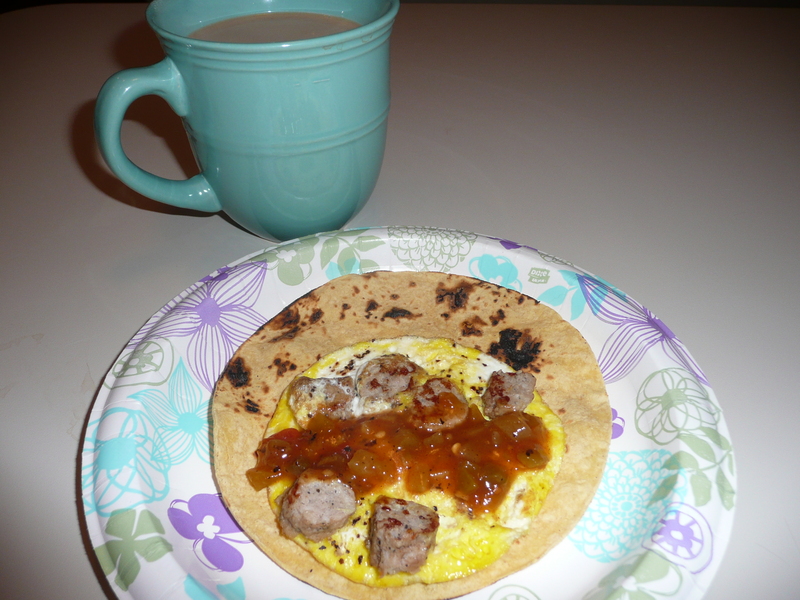 When compared to chicken eggs that I am used to having…. I really could not justify the difference in price. Stay Tuned for more of our adventures! Oh. 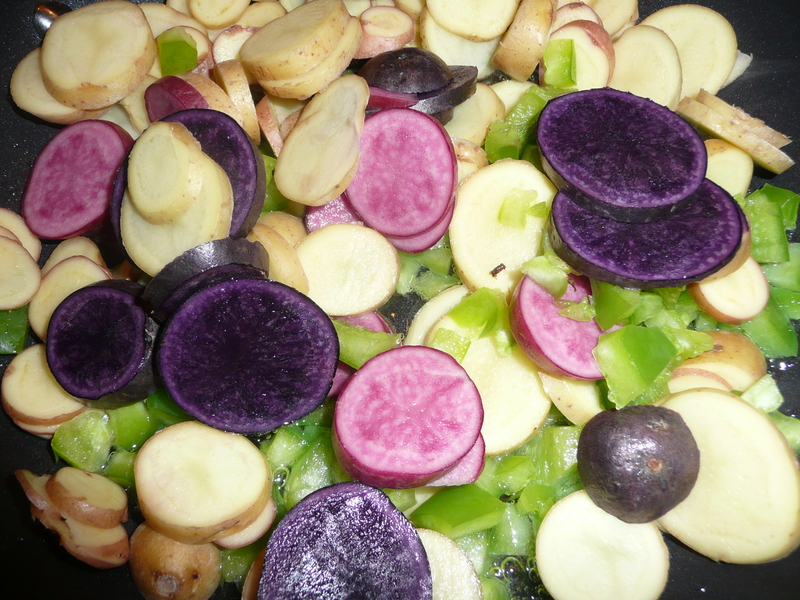 those must-colored potatoes look so yummy!!! Well you gave it a really good try…that’s for sure! Keep cooking and keep sharing! Love you! !